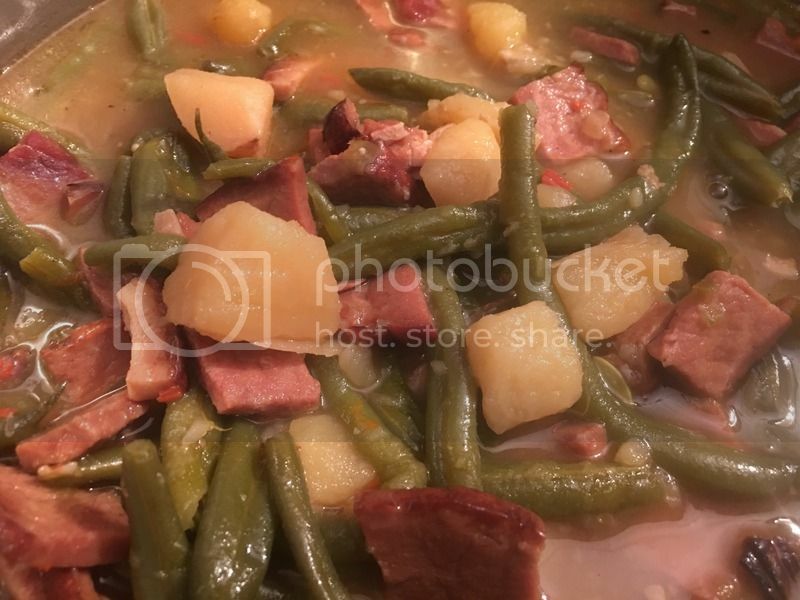 Dig up some Yukon gold potatoes from your garden, pick up some fresh string beans from your grocer, make a small roux, add a little chicken stock, then the potatoes and string beans go in the pool and kick it up with some your favorite seasonings. Re: Left over Easter ham? On my way to corpus today in fact.